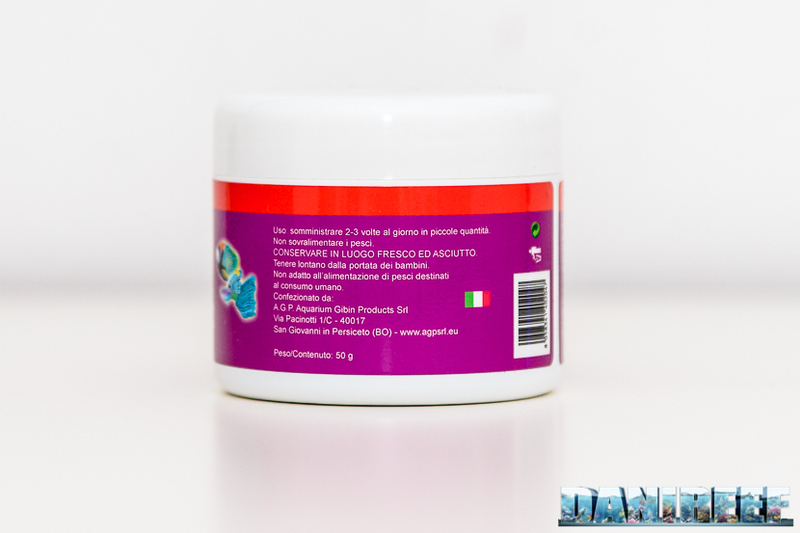 Unica Gran Premium Plus is the granular fish food from the new Italian brand AGP for marine fish, based on a high protein content. This granular feed is produced at low temperatures. 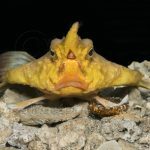 This characteristic makes it one of the best feed for our aquariums, because it’s less polluting than frozen food and it can retain all its nutritional properties, unlike the flaky food made at high temperatures (more details here). 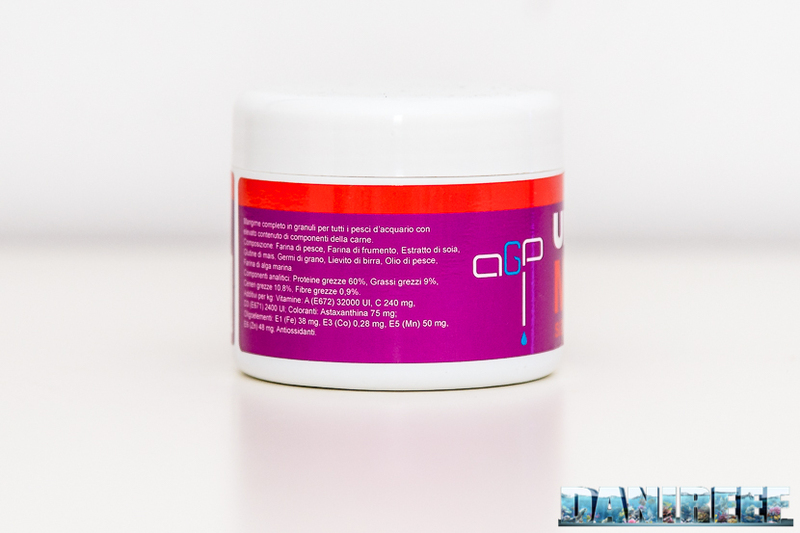 AGP highlights the presence of added Astaxantina, which helps reduce inflammatory processes and develops the red/pink pigmentation of the fish. 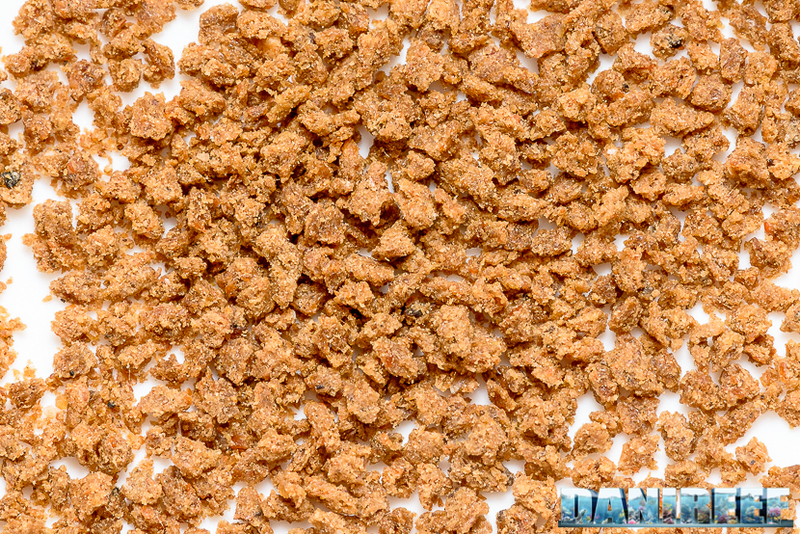 As with other fish feed, this is achieved through fish flours. 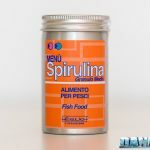 So it’s a complete food for non-algivorous fish (in this case it’s good to supplement with fresh or lyophilized seaweeds). 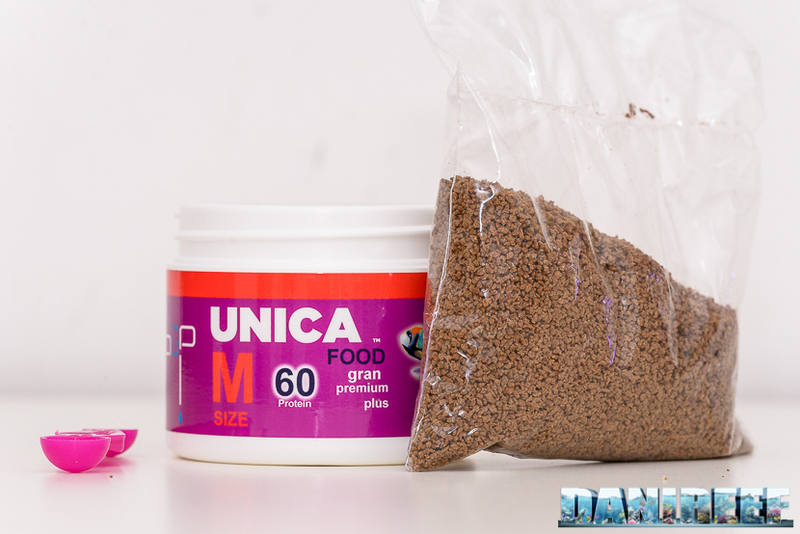 Unica Gran Premium Plus is a granular feed in three sizes: Small, Medium, and Large. We can choose the most suitable size for our fish, but the Medium is quite good for everyone. It seems very appetizing and it’s good that the feed doesn’t fall on the bottom, but it remains a little longer suspended into the water column. It comes with a little spoon for easily measuring the doses, and it’s fuchsia like the brand symbol. Moreover it has two cups with different sizes for a double use. 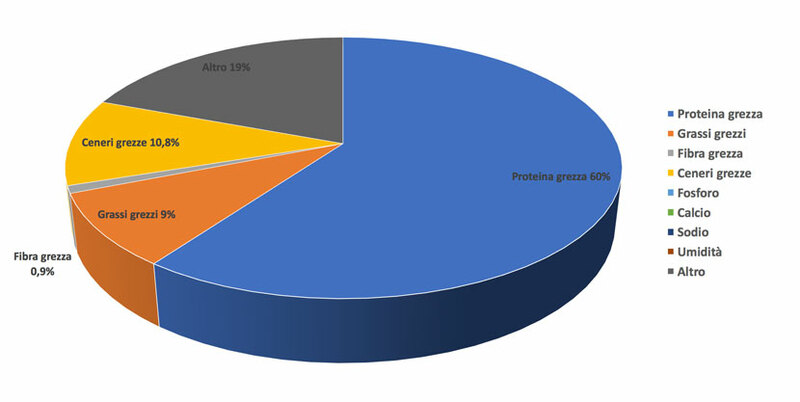 And it’s possible to see the same analysis in this pie chart: As you can see in the chart, the feed is mainly composed by proteins (60%) and it is 9% fats. 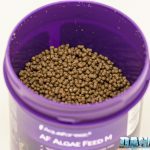 This makes it a high calorie food, especially appropriate for fish that usually eat other fish or crustaceans. 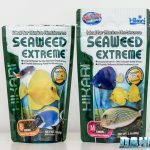 In comparison, Hikari Marine A and S have just 50% protein (article), Equo Menu Marino has 55% (article), and XAqua Marine has 63% (article). 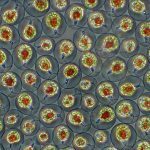 We’re always talking about generalist feeds and not granular feeds for algivorous fish, where proteins are just about 36/37%. 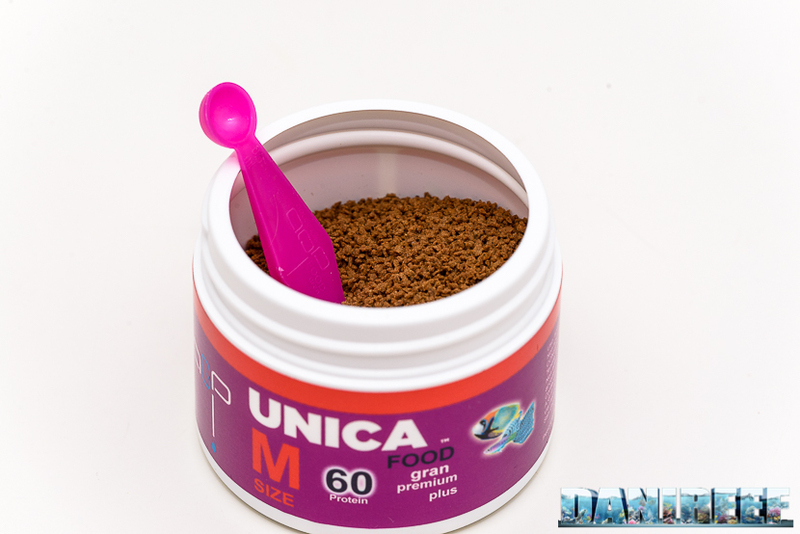 Unica Gran Premium Plus with the 60% is a protein-heavy feed. We suggest it for fish that are strong swimmers, and less so for other fish. The vitamins are the main part of this feed. In particular, vitamin A has a high concentration. Remember that vitamin A is needed for a healthy growth, as it strengthens the sight, defends the skin, and helps the fertility. Strangely there’s no vitamin E, which we usually find in fish food. It’s preponderant the added content of Astaxanthin. In addition, there is no Iodium, Selenium, or Copper. The red color of the feed is due to the Astaxanthin. The package is in plastic with a screw cup, and the food is in a vacuum sealed bag. 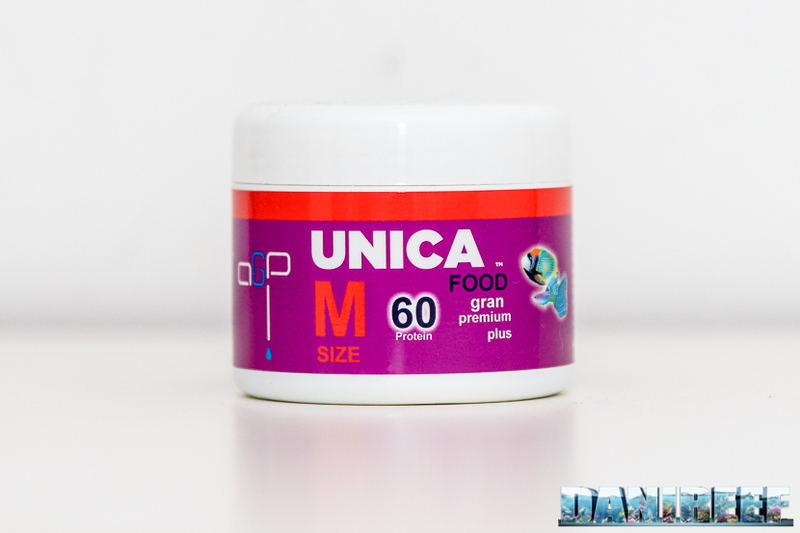 Unica Gran Premium Plus is only offered in one size, 50 grams.